Rabbi Larry Rothwachs has served as rabbi at Congregation Beth Aaron in Teaneck, NJ since August 2002. Together with his wife Chaviva (Yudin) they have imbued the shul with warmth and created a welcoming atmosphere, leading by example with an emphasis on Chesed and Talmud Torah. Under their leadership, the shul has expanded opportunities for lay learning for all levels and developed social programming for every age and interest, creating programming of renown that is sought after as a model for other shuls. Both Rabbi Rothwachs and Chaviva take time to know each member and have a vested interest in the welfare and well-being of each congregant, making the kehilla feel like one family. The Rabbi is a graduate of Yeshiva University, the Azrieli School of Jewish Education and the Rabbi Isaac Elchanan Theological Seminary. From 1998 through 2016, Rabbi Rothwachs taught Talmud at Yeshiva University High School for Boys and the Rosenbaum Yeshiva of North Jersey and he currently serves as head rabbi of Camp Morasha, making him uniquely suited to understand the needs of our youth who are coming of age. In April 2016, he was appointed Director of Professional Rabbinics at RIETS, where future rabbis look to him as a role model for what it means to balance the spiritual, social and emotional needs of a large suburban kehilla. 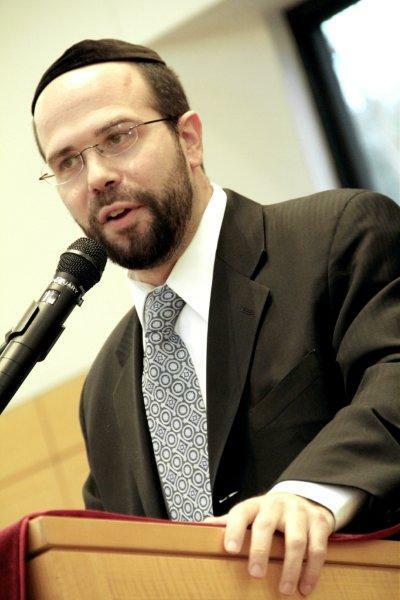 Rabbi Rothwachs has served as president of the Rabbinical Council of Bergen County and on the executive committee of the Rabbinical Council of America. In May 2016, he was named by the Jewish Forward among ‘America’s Most Inspiring Rabbis.’ Rabbi Rothwachs has delivered many lectures on a wide spectrum of topics of Jewish interest and is listed on the Orthodox Union’s Rabbinic Speakers Bureau (https://ouservices.org/rabbinic-speakers/). Chaviva teaches special education at the Sinai Schools and they are the proud parents of 5 children.